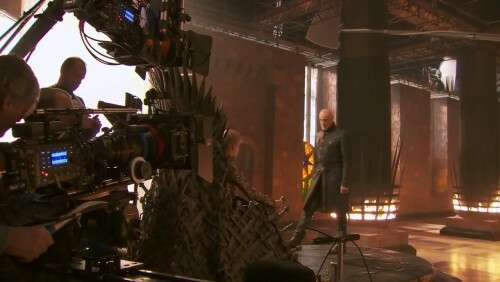 Lord Tywin speaks with his grandson, King Joffrey, in the throne room. I doubt this will be a very pleasant conversation. It will be interesting to see how they develop the dynamics between the young, rash, cruel king and his ruthless, powerful, brilliant Hand.